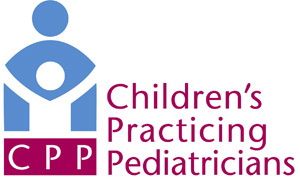 Early learning resources are provided by the AAP to assist physicians in promoting, helping and guiding parents and caregivers on the importance of early learning, talking and reading for infants and toddlers. This toolkit also shares parent resources to help families learn ways to introduce and explore early learning and reading at home. Offers one-on-one tutoring sessions to help children with assessment skills, literacy skills and communication skills. Sessions are offered throughout the year. Serves children and their families living in poverty, helping them to get housing and resources, while providing educational after-school/summer programming and support for kids grades K-8. They also host Supporting Partnerships to Assure Ready Kids (SPARK) a program for three and four-year-old children, not enrolled in Pre-K, who will soon enter Kindergarten. Partners with primary care nurse practitioners and doctors to prescribe books and encourage families to read together starting 6 months to 5 years vaccination or well child visits. Visit the website to find out how teens and adults can volunteer for ROR and how donate new or gently used picture books and board books. Provides many resources for families, including help for struggling readers, help for kids with dyslexia, literacy apps, webcasts, common core information, book lists, reading classes and more.